Sometimes all people need in order to get on with their lives is a helping hand, a leg up, a push in the right direction. I know because I've been there myself - not in a life or death situation, but in enough strife that had I not had that support I might have gone under. Oxfam are well aware of this too. Why? Because they have been helping people help themselves for decades. Since 1942 in fact. That's a whole lot of knowledge and expertise earned. One of their wonderful campaigns at the moment is empowering women in Bangladesh through chilli farming - teaching them to make a living for themselves. Sounds so simple, and really it is. That's the beauty of it. Let me introduce you to Joygun. Not only does she have the best name in the world ever, she is also a formidable force in her own right. Just look at that smile - lives up to her awesome name right? Joygun is a member of the chilli producer group, and has received training on growing and selling chillies. Chilli farming has given her confidence and self-belief and her husband now recognises the important contribution she makes to the household income. 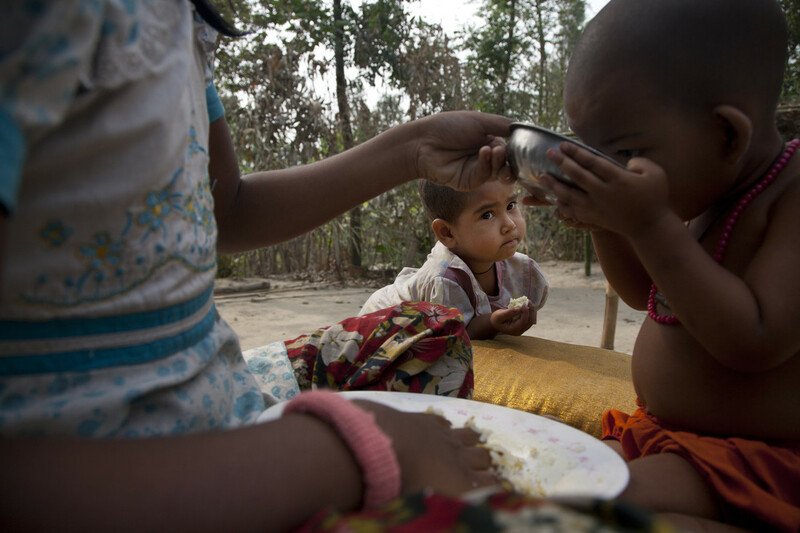 'I wouldn't have been able to eat before'. Think about that for a moment. As a mother you can bet that Joygun made sure her children got whatever food was available - how wonderful to turn that story into such a powerful one. This area in Bangladesh is now famous for producing chillies of the right colour, taste, heat and size for many Bangladeshis across the country. 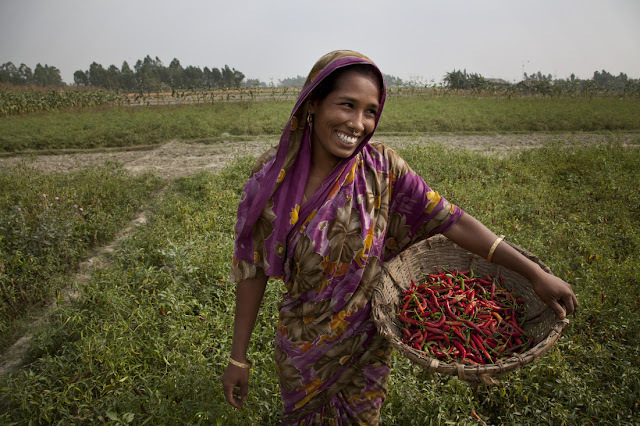 Oxfam has helped the farmers to form producer groups which pool their resources (such as labour and land), and their chillies. So how can we help more women like Joygun? €9 can provide a family with manure, organic fertiliser and training in eco-friendly farming techniques. €24 can provide a family with the tools, seeds and training to set up an allotment, helping them to feed themselves. Empowering people to help themselves is key to a sustained solution. A regular gift to Oxfam changes lives around the world. By giving a monthly donation you can help transform whole communities, for good. You can donate here. Please think about it.